It is a great feeling to wear the beautiful diamond studded engagement ring and flaunt its beauty! But, what if a single tiny diamond goes missing or the ring has slightly lost the luster, or there is the craving to transform the centre stone with a stunning new one that has caught your fancy? Then, what do you do? Here’s an attempt to answer all the questions that might crop up regarding replacing a diamond in your ring. Desire or need, the grounds on which you may decide on replacing your ring’s center stone might be varied. Now, different reasons for changing the center stone have different details to be concentrated upon. It’s a smart move to gather the necessary information beforehand. For improving the diamond’s clarity, look out for those diamonds that meet the clarity you seek and do check closely if they actually seem clean. After a certain point of upgrade, diamonds can meet that high-end clarity that is detectable by the naked eyes. If you yearn for a bigger center stone, when replacing diamonds in a ring, you must be aware of the fact that a bigger stone with less color quality and stone clarity having noticeable defects and color tints won’t look pleasing at all. Now, if you are wondering why flaws in bigger stones are visible, then the answer would be because of their size. So when opting for a larger stone, do take note that the quality of the stone would need to be upgraded too. Tip: Do enquire from professionals if modifications made to the center stone’s setting and/or band are required to fit the larger diamond. Make a sum total of all the costs and see if it suits your budget as the new diamond’s carat and changes in the design of the ring may cost a hefty amount. This is an excellent option to go ahead with as it is often quite feasible to transform the overall look of the ring stunningly. Better cut diamonds reflect more light and dazzle with much greater intensity. Even though various other colored stones such as emerald, turquoise, amethyst, and so on may give a new look to the ring, a diamond is more expensive and romantic than these. Furthermore, other colored stone won’t look stunning in the existing band and setting which is precisely designed to suit the center diamond stone. You might be expecting something exclusive and would end up with something utterly different which fails to impress you. 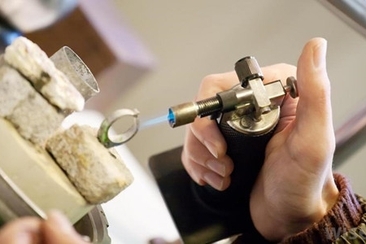 The time taken to replace a diamond in a ring: Be patient, as with regards to the service hired, replacement of the core stone can take up from a few days to a few weeks. How much budget should I expect? 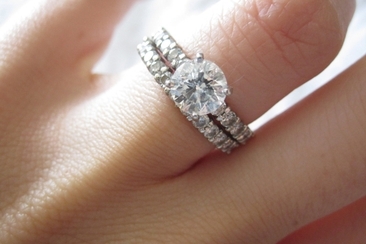 Expenses would depend on the various facets of the ring, such as setting, shape, etc. For an exact amount, it's best to contact the store from where you are going to make your purchase and learn about the total cost that includes everything: the new diamond price, the making charge and also the charge for alteration in the ring’s setting. 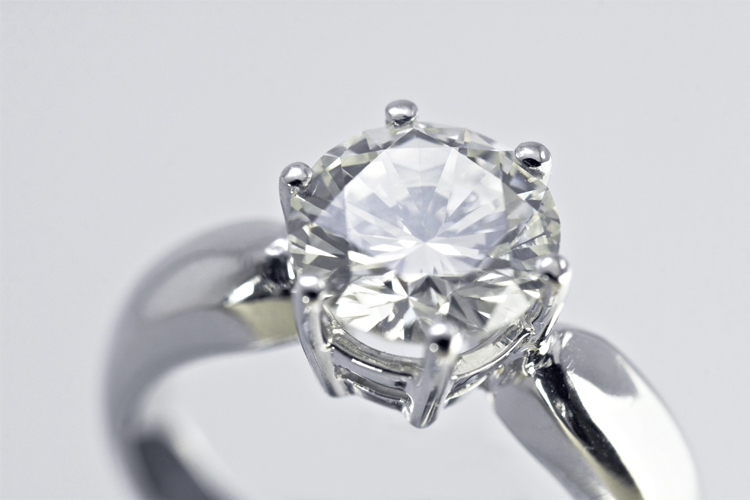 Once you have decided on exactly what you wish to opt for, whether you wish to replace the existing diamond center piece with a better quality diamond, a bigger one, a better-cut or with a different colored stone, then here’s a little head start for you. Step 1: Go and visit the jewelry store from where you bought the actual diamond ring earlier. 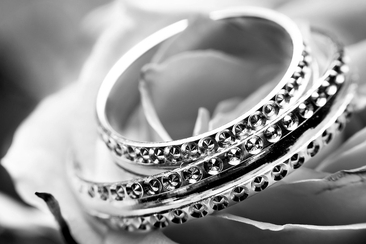 Certain jewelers have a lifetime warranty on their sold rings and diamonds. Thus, they would change your diamond centre stone free of cost with a new one, irrespective of the stone’s present condition. 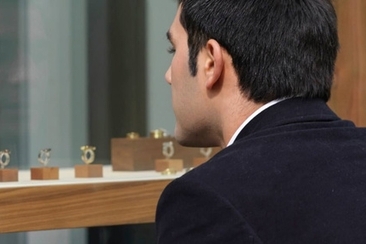 Again, some jewelers offer warranties on selective level of damage to the stone. No matter how much benefit you can get from the store, it’s worth a visit as even if they charge you, as a customer of the store, they usually give you some discount. Step 2: Check if the ring/diamond is insured under your name or that of the homeowner’s. In case the dent, scratch or any other damage to the stone is covered by the insurance policy, then you can avail a free repair. Once that is done, you can go ahead with the stone replacement. Getting a ring resized is not simple. There is a lot to know. 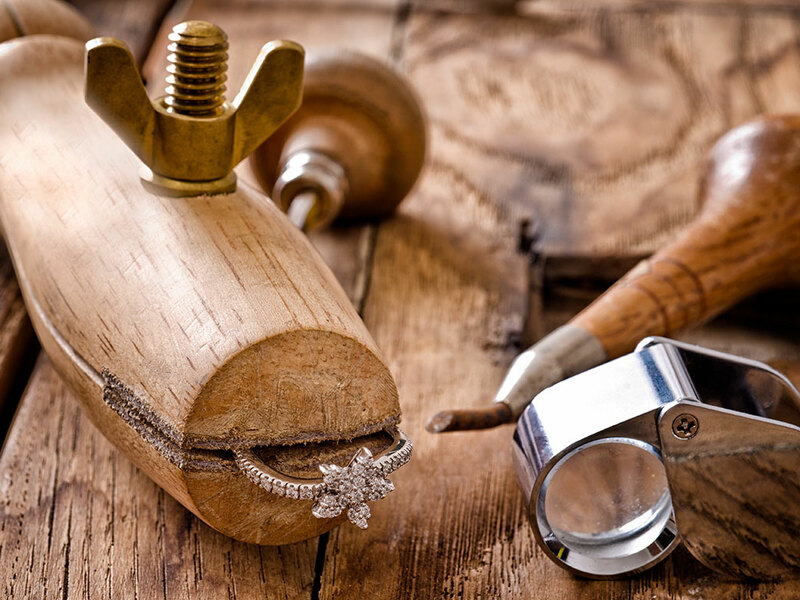 Here is a detailed guide of how to get it resized perfectly without any damage with reasonable cost. My ring makes my finger itch, what happened? And what to do? 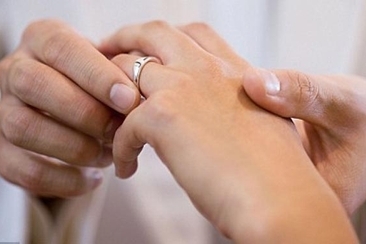 Learn why ring allergy happens, its causes and how you can curb this unpleasant wedding ring rash easily. 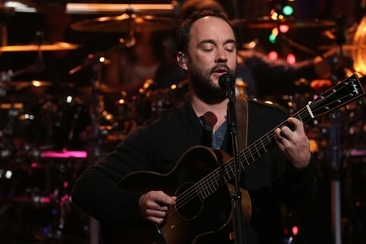 Dave Matthews Band wedding music! From upbeat to sweet and romantic you’d be surprised just how many of these songs can perfectly fit into your wedding day playlist!